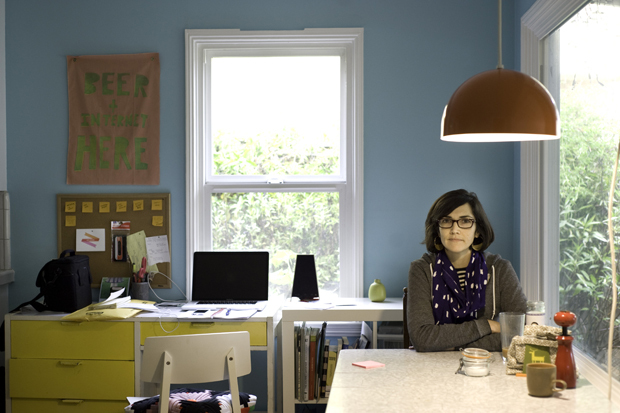 In her socially-based art practice, Susan O’Malley uses simple and recognizable tools of engagement – offering Pep Talks, asking for advice from strangers, installing roomfuls of inspirational posters, distributing flyers in neighborhood mailboxes, conducting doodle competitions at high schools – in order to offer entry points into the understood, and sometimes humorous, interactions of everyday life. Interested in shifting these otherwise mundane exchanges into heightened experiences, O’Malley’s projects rely on the back-and-forth between herself and others in the creation of the artwork. Ultimately O’Malley’s projects aspire to inspire hope, optimism and a sense of interconnectedness in our lives. Based in the San Francisco Bay Area, O’Malley received her MFA from California College of the Arts’ Social Practice Area. As an artist O’Malley has participated in programs and exhibitions throughout the San Francisco Bay Area and internationally in Denmark and Poland. While Curator and Print Center Director at the San Jose ICA (2006-2011) O’Malley oversaw the production of over 50 exhibitions and programs. To learn more about specific art and curatorial projects, please view her resume.